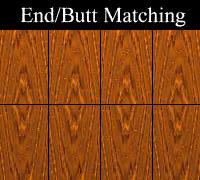 There are a number of veneer matching techniques providing an excellent range of visual effects. Obviously the degree of figure (grain, colour and natural characteristics) in the timber specie chosen, the method of veneer production, together with the desired effect, determine the best matching method for your project. 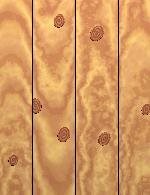 Note that the illustrations have gaps between the sheets of veneer to show the matching patterns more clearly. These gaps would not be visible in practice. 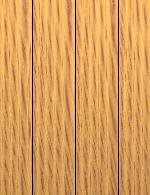 Where the height of a flitch does not permit its fabrication into the desired height of panel, it may be matched with vertical butts as well as with horizontal book leaf joins. All types of veneers are used. In book matching every other sheet is turned over just as the leaves of a book. Thus, the back of one veneer meets the front of the adjacent veneer producing a matched joint design. In slip matched veneer sheets are joined side by side and convey a sense of repeating the flitch figure. All types of veneer may be used, but this type of matching is most common in quarter-sliced veneers. Individual leaves are random matched for effect. 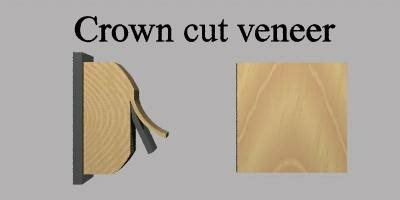 Knotty veneers are often laid this way. This is done to disperse characteristics such as clusters of knots more evenly across the sheet. 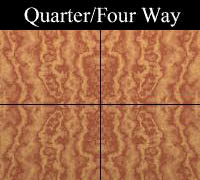 These four special matching patterns are generally produced on production line equipment. 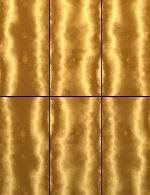 The matching techniques below are labour intensive, often hand made, usually with veneer wastage significantly higher than normal matching/joining techniques, and are priced accordingly. 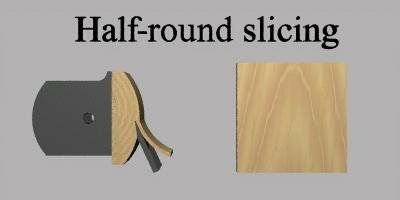 A process of cutting veneers into pie slice pieces and laying them side by side with alternating face direction. This type of arrangement can create a stunning effect on even the most ordinary veneers. They are time consuming to make but the results can be outstanding. The manner in which veneers are cut is an important factor in producing the various visual effects obtained. Two logs of the same specie, but with their veneers cut differently, will have entirely different visual characteristics even though their colours may be similar. 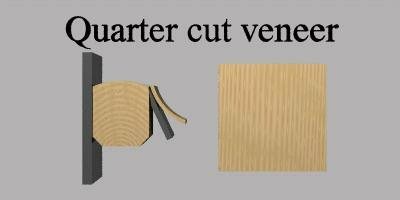 In veneer manufacture, five principal methods of cutting veneers are used. The log is mounted centrally in the lathe and turned against a razor sharp blade. The result is like unwinding a roll of paper. 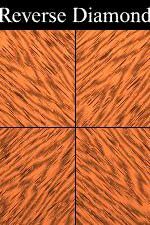 Since the cut follows the log’s annular growth rings, a bold variegated grain marking is produced. 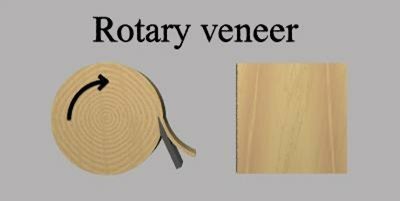 Rotary peeled veneer is exceptionally wide. A variation of rotary cutting in which segments or flitches of the log are mounted off centre in the lathe. This results in a cut similar to a crown cut but slightly across the annular growth rings and visually shows modified characteristics of both rotary and plain sliced veneers. Generally produces a wide heart with reduced quarter grain on the sides of the crown. 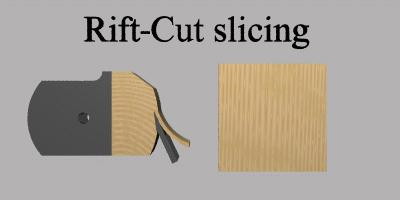 Rift cut veneer is produced in the various species of oak. Oak has medullary ray cells which radiate from the centre of the log like the spokes of a wheel. 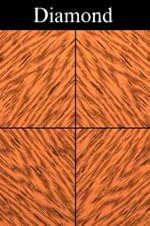 The rift or comb grain effect is obtained by cutting at an angle of about 15 degrees off the quartered position to avoid the flake figure of the medullary rays.